i am a great fan of cricket. i like to share my views on cricket with the outside world. i m currently busy with my studies so i may not be regular to update it....but i will try my best. Hi, I am Nitesh Jambhulkar.I am working in Vijaya Bank as an Assit. Manager.I am not a big shot. I am just another common man.And like every other common man, I also have something to say about the whole system around us which affects us directly or indirectly in our daily life. I want to use this blog as a platform to express myself to the world outside. 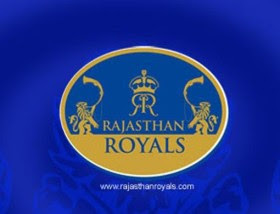 Finally Rajasthan Royals has won the inaugural IPL T20 cricket series. There were the favorites. But most of the cricket pundits tagged them as an underdog at the start of the tournament. Well, I also had the similar belief. They were distinctly ahead of all the other teams and really deserve to be champion. Rajasthan team was not full of star players, but they did play like star players. Most amazing thing was that they maintain their consistency throughout the tournament. Smith and young Asnodkar were just brilliant at top of the other whereas Pathan and Watson were in demolishing mood in the middle order. In the bowling department Warne, Tanvir and Munaf were doing brilliant job. Though they perform very well as a team, its most of the credit should go to the Warne. I don’t need to say anything about his greatness as a player. If you name 10 greatest players the cricket has ever seen, he will definitely be there. But in IPL he has shown how good he is as a captain. Dhoni again has shown what a fine player and good captain he is. Chennai beat Punjab thrice in the tournament, which has arguably the best composition of all the teams. In final also he stretched the match to the final over or to say the final ball. Chennai did some serious mistakes in the field and that was very much apparent. Yousuf Pathan was dropped twice and in the last over Balaji bowled wide ball fetching two runs that turn deadly as the match went to the last bowl. Though Dhoni’s team emerges as second best in the final the difference between them and the Royals was not that big. Dhoni is cool customer. He do not show much emotions on the field, still he keeps his players motivated. I never have seen him getting dejected when his team is not performing well. That keeps the moral of the team always high. He is turning out to be very fine find for captaining Indian team. This IPL has given the chance to most of the local lads to show their talent. That was the perfect stage for them to show what they have in them. And some of them really grab this opportunity with both hands. Swapnil Asnodkar, Goni, Amit Mishra, Goswani are few of them. Some of these players like, Rohit Sharma, Yousuf Pathan and Suresh Raina took this opportunity to reestablish themselves in the Indian team. This could also be curtain for some of the veteran players. I need not name them. They should realize that they have done enough for the country over the years and it is time to move on. Nobody is comparing them with anybody. They have done it all and it is there in history which can’t be negated. So, it is time to make some sensible decisions. India next venture is tour to Bangladesh and then Asia Cup. My best wishes are with them.